Port Macquarie Magpies and Coffs Harbour Breakers have set down early markers with dominant first round victories of the AFL North Coast Senior Competition. 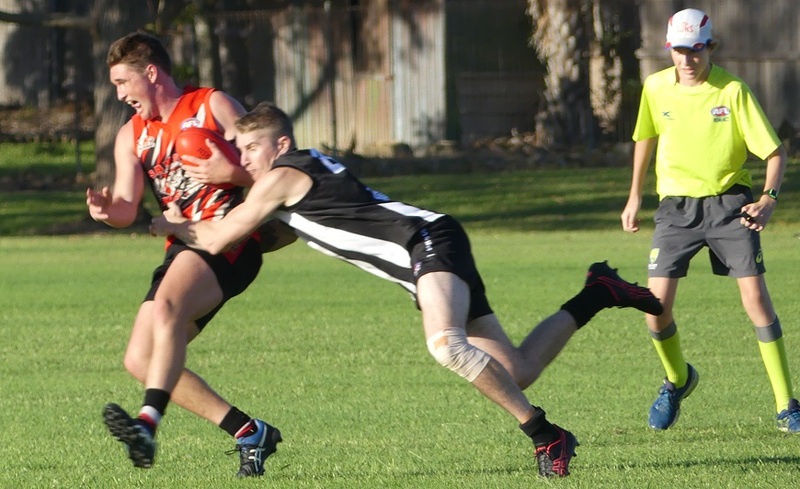 The Magpies were ruthless in the first half against reigning premiers Sawtell Toormina Saints, kicking nine goals to one to all but ice the game by the main break. The Saints rallied in the third quarter and were able to hold their own on the scoreboard during this term. 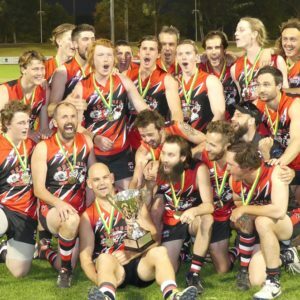 Sawtell won the last quarter by a goal to restore some pride, however it was a mark of how strong the Magpies’ performance was that they all but shared the honours in the second half despite taking their foot off the pedal. Kye Wilson and Kyle Bray of Port were the two dominant big men of the day, constantly providing quality ball to the inside midfielders. 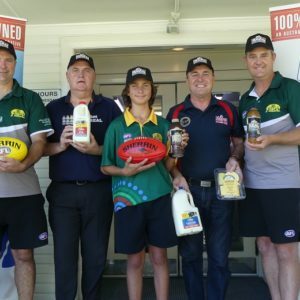 Jesse Schmidt and George Maguire were the key beneficiaries, kicking five goals apiece, with Fraser Carroll’s four goals meaning these three outscored the entire Sawtell team. The Saints handed Senior debuts to a number of Under 17 players in Tyler Donovan, Alex Pyke, Ronan Singleton, and Jonah Horan. These players looked far from out of place and will grow in confidence after their first run in the top grade. Curtis Smith provided a constant threat up front to kick three goals, and was joined on this mark by Felix Dunn and Malcolm Trotter. At Ellem Oval, Grafton there was no easing into the season opener for the Coffs Harbour Breakers who inflicted a 224 point loss on the hometown Tigers. Despite only having a pre-season intra-club match under their belts the Breakers were straight into their stride, posting 17 goals in the first half. There was no respite for the Grafton Tigers in the second half with Breakers replicating the scoring feat to finish the match with 34 majors. Ben Gibbeson had a field day, kicking 10 goals, with Shaydan Close adding a further eight. In total, the Breakers had 11 individual goal kickers in a strong team performance. The undermanned Tigers battled hard all day with Doug Perich and Ronan Leslie recording the team’s two majors. 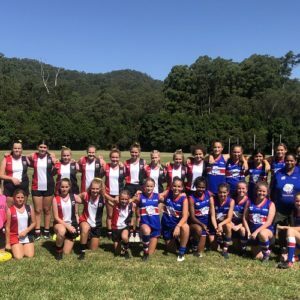 Last season’s closest tussles in the Women’s competition were between Sawtell Toormina Saints and Port Macquarie Magpies and the 2019 season started in exactly that fashion with the two teams battling out a thrilling draw. Port Macquarie had the better of the play for the opening three terms but wayward finishing meant the Magpies didn’t take full toll of the advantage in both territory and possession. Despite this, the Magpies went to the last break with a slender six point lead but were unable to trouble the scorer in the final term and this left the door ajar for the Saints. In Keira Basset, Sawtell has the League’s most ruthless goal kicker and she demonstrated this again with three opportunities resulting in three goals, including a crucial major in a quarter that was otherwise scoreless. Port’s best players were Cambridge McCormick and Tilly Mobbs, whilst Casey Uikelotu was a constant driving force for Sawtell. The Northern Beaches/Grafton Women’s team gave an outstanding account of themselves on their entry to the competition to match it with Coffs Harbour Breakers for long periods of the match. Ashleigh Miller kicked the first goal for the joint venture team in the second quarter to spark raucous celebrations amongst the huge crowd. Chelsee Ryan and Sarah Wildner also got their names on the score sheet with goals in the third and fourth quarters. Ultimately it was the greater experience of the Breakers team that proved the decisive factor. Cass Ronalds led the way in the key midfield battles and kicked a goal, with Tarryn Arnold providing great support. Takiah Pizzi and Lisa Flick each kicked two goals for the victors. In Reserve Grade, the second coming of the Northern Beaches Blues got underway in style when they recorded a 27 point win over the Coffs Harbour Breakers, whilst Sawtell Toormina Saints recorded a 44 point win over premiers Port Macquarie Magpies.